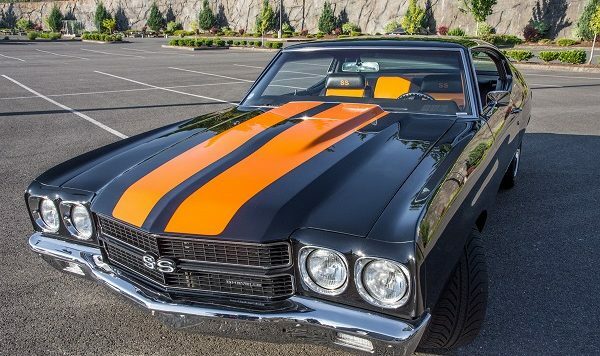 With the passion and interest relating to motor sports, streets cars and all things automotive, the process of moving your pride and joy can become a terrifying experience. Australia has an abundance of car shows and motoring events for the average motoring enthusiast to participate in, however when it comes to moving your car interstate, it can prove challenging. Street cars, Hot Rods classics and prestige cars all have one thing in common and that is sentimental value to the owners, a lot of hard work has been put into a rebuild and how a car presents, it is a labour of love, so when it comes to trusting someone to move it to the next meet or major car show, you would want to make sure it is done right. If you are really attached to your car, you could probably drive it to the next car show in your calendar. Although travelling interstate in your street car may clock up much unnecessary mileage it may not be a desirable option. Depending on how often you attend these events, another option may be to invest in a car carrier trailer or have a custom built enclosed trailer to protect your vehicle on those long drives. If you are on a budget and have the flexibility, why not try having your vehicle transported interstate on a backload. Car carrying backloading is common and offers a cheaper alternative to customers by discounting space on car carriers that are returning to the state they are based in. By offering discounted moving rates, a carrier is able to obtain a full load upon their return. For the best options and to find a transporter that meets your requirements, try comparing interstate car transport quotes before your next car show. There are companies out there that can offer full service transportation of your pride and joy that includes insurance from any damage for those that need their assets protected. Options consist of open car carriers or enclosed car carriers. It’s important to note that enclosed car carriers although offer more protection from road debris during transport, can come at a cost and can be significantly more expensive. It is wise to network and ask others that share your passion for their opinions when it comes to car logistics. Memberships of car clubs can also provide great access to discounted automotive services and parts, so find a car club today.